Mom’s job is tough and moms need encouragement! Today we are kicking off 21 Days of Encouragement, an initiative of DaySpring. I will explain to you what 21 Days of Encouragement is all about later here. But before I go any further, I want you to watch this video. This video says it all! Doesn’t it? We do so much, we give so much and sometimes we feel like we have nothing else to give and no strength to do anything more, yet, we are there – everyday – 24/7/365! Moms are heroes is disguise! When we are most needed, we put the cape on and the superpowers come! Even when we don’t even believe we have any superpowers – we do! We can’t rest and we can’t sleep sometimes, we have no breaks, I know… But can you see yourself doing anything else apart from your children, except for a few hours or maybe a weekend? LOL That would be nice! But then, you will miss them so much and you will talk about them the whole time and will be wondering what they are doing. You will miss their hugs and their best kisses because you know, they are the best huggers and kissers in the whole world! They need you and you need them. They depend on you and your heart is there 24/7/365. You have the power to raise little people into big people one day that will make a difference in other’s lives, perhaps they will change their communities or even their nation! You have the power to teach them what love is and what sacrifice is all about, to show them who God is and how much He loves them, to teach them to see beauty in everything and to be grateful for all we have. You have the power to singing them to sleep like no one else, to tell them stories that will take their imagination around the world and sometimes even to heaven and out of space. Moms bring life, nurture lives and change lives, every day. Moms are best friends, guides, the ones we go to when we need to talk, when we need comfort or when we need love. Moms are there for us as we are there for our little ones. Mom’s are blessed to know love and experience love on a whole new level, either through natural birth or through adoption. Sometimes we are running with our gas tank almost empty and we need others to come alongside us and encourage us. We need to be reassured that what we are doing is valuable and nothing is done in vain. Sometimes all we need is a word that will give us the gas we need to refuel our tanks to keep going. You can encourage one mom, each day, for 21 days, or perhaps commit to encouraging several moms for 21 days. We moms, do need encouragement. You can send them a virtual card through DaySpring Ecard Studio by clicking HERE or take the time to write them beautiful handwritten cards and mail it to them. 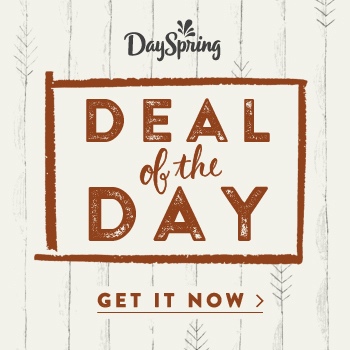 DaySpring has gorgeous cards and right now they are only $10 for 2 boxes! Mom, are you needing encouragement for yourself? Thank you for my beautiful children and for all the love and joy they bring to my heart. Lord, I long to be the Mom that you want me to be, but sometimes I just get so overwhelmed with the tasks at hand that I forget to lean on You. Lord, please use these times to remind me of your loving arms – remind me to be as patient with my children as I know you have been with me. Remind me to rest in You, Lord, and give me the strength and wisdom I need to carry out your will for my life. In Jesus’ Name, I pray. Thank you for your endless provisions of grace and mercy. We come to you today to lift up every woman who answers to the name of “mom.” We ask that you supply each one with the strength they need for those difficult days. Give them wisdom to know when to encourage and when to correct their children. Supply them with an extra dose of patience. Remind them that children are a heritage and a reward from You (Psalm 127:3), and shower them with special moments they can cherish. Lord, we also ask that you draw them close to you daily. Remind them of their worth in Your eyes – that they, too, are cherished children of a loving Father. We pray for contentment in this very special calling. May every mom realize that this is a mission from You, one that brings truly great rewards in the end. Let’s meet live on Periscope and Facebook live for some more encouragement! Need prayer? I would love to pray for you. Click HERE to send me a private prayer request.